Leicester Tigers have joined the race to try and recruit Shaun Edwards. 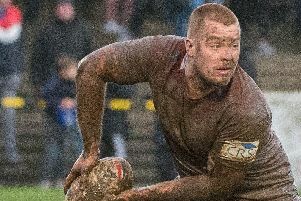 The Times reports the English giants actually wanted him to join the club immediately in a move which would have reunited him with his ex-Wigan team-mate Mike Ford. But Wales RU chief executive Martyn Phillips objected to the Welsh defence coach linking-up with the Tigers before autumn's World Cup. However, Leicester are reportedly happy to wait for their man and have joined Wasps and other clubs in showing interest in the former GB captain. Wasps have even spoken to Edwards and rugby director David Young says more talks are planned when Edwards returns from a holiday. Edwards appeared at a Wigan press conference in August to be unveiled as coach of his hometown club in 2020. But he put himself in the shop-window after Wales' Six Nations title and said he was a free agent as he didn't have a written contract with the Warriors. 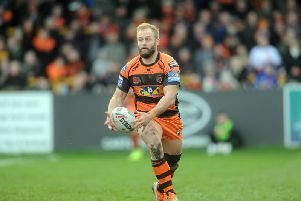 Lenagan wrote in his programme notes on Sunday that he would give fans "the clarity they deserve once Shaun Edwards has come to his own decision."